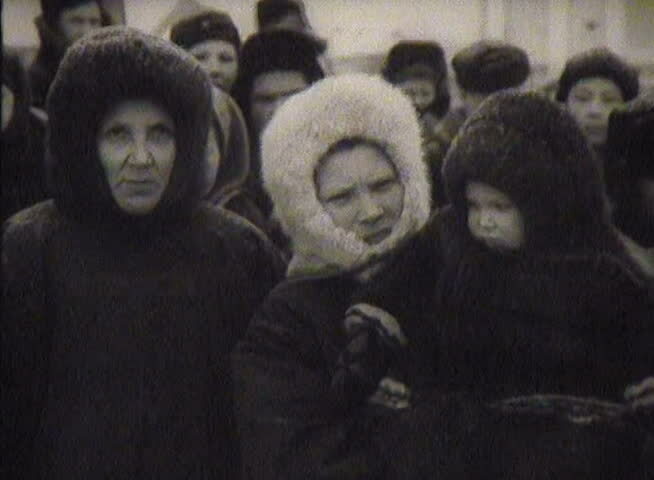 sd00:23FORMER U.S.S.R. - CIRCA 1950-1960: Mourning in the USSR. The funeral of Stalin March 1953.
hd00:211940s: Men load ship's weapons. Boat fires. Plume of smoke. Men ride boats to beach and move across sand. Men walk down road.